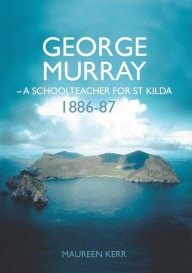 George Murray was the school teacher on St Kilda from 1886 – 87 and throughout that time he kept a diary, which has, since then, been quoted in many publications. However, until now, we have not had any insight into the man himself. Now the St Kilda diary is reproduced in full from the original, just as it was written, and is a fascinating account of life in that unique and isolated archipelago. Here we have the full story of a courageous and honourable man. It includes an account taken from another diary he kept during the summer the year before going out to St Kilda, when he was a missionary and school teacher on North Uist in the Outer Hebrides. ISBN: 978-1-907443-55-8 Paperback.